Wild Wadi Waterpark is a water theme park located in the city of Dubai, United Arab Emirates (UAE) that covers an area of 12 acres and comprises of 24 adrenaline-pumping state-of-the-art rides and slides. 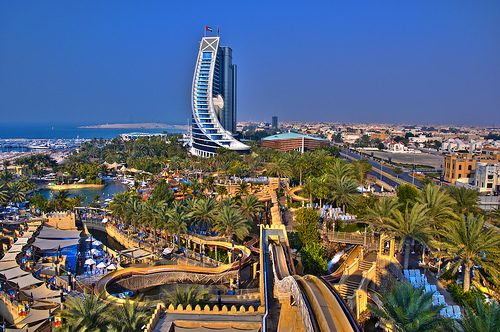 Wild Wadi is located on the rural area of Dubai, known as Jumeirah, along the Jumeirah Beach Road. 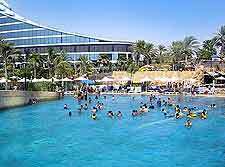 Wild Wadi is one of the worlds most technologically advanced water parks, Wild Wadi is the perfect location for leisure, and also a special event such as product launches, business functions and employee incentive schemes. Wild Wadi is an outdoor water park with a heated/cooled wave pool, multiple water slides and two artificial surfing machines. In addition, the park has the largest water slide outside of North America. Another feature of the park is an 18 m (59 ft) waterfall that goes off every ten minutes. The water park also has two gift shops, three restaurants and two snack stands. The name “wadi” means a type of riverbed or valley that fills with water when rainfalls are heavy. Hello my friend! I would like to tell you that this write-up is awesome, great written and include almost all important info. 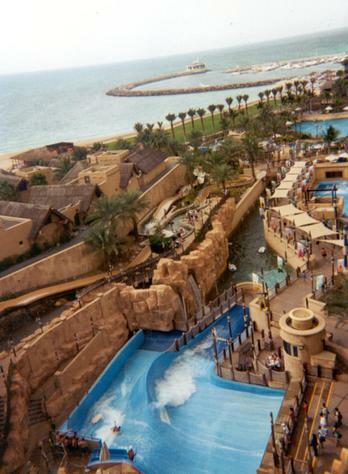 I recently came to know about http://www.dadabhaitravel.ae/, their Wild Wadi are very effective and affordable.